A most unexpected sunset on the shores of a sunrise lake? Now you know it's possible. 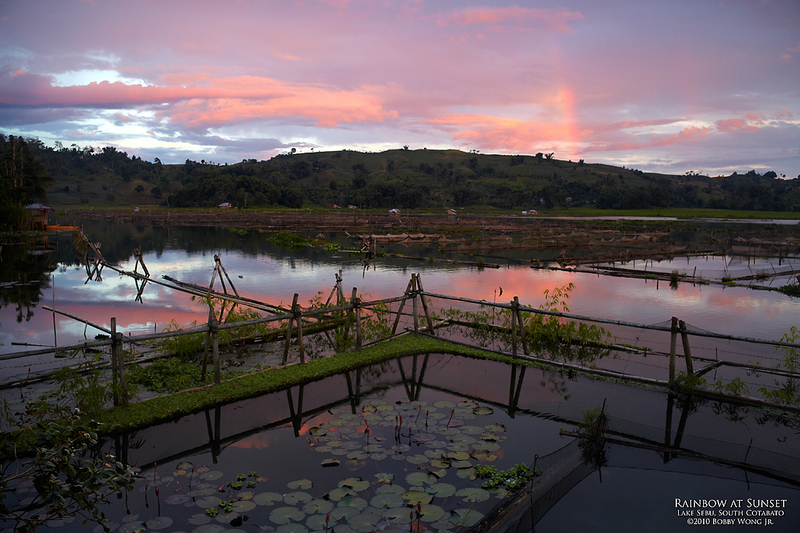 Shortly before sunset, we arrived in barrangay Seloton in the town of Lake Sebu in South Cotabato. Our home for the next 4 days would be a quaint little cottage right along the shores of Lake Seloton, one of three lakes in the area, where the best vantage for sunrise can be found. I pointed my camera to the east, across the placid lake and over them hills on the horizon... that's where the sun will greet us tomorrow morning. But the sun has to set today before it can come around again tomorrow, and that's when we were pleasantly surprised to see wonderful dusk colors develop in the east. Look closely and you'll even see a rainbow. How we can be so lucky when the locals don't even remember such a fire-y sunset on this lake? Enjoy. hi there..i love your Lake Sebu pics and it has made me more determined to get there. The little cottage that you stayed on, do they accept other transients?